If you’re lucky, you’ve never had a reason to meditate on the ins and outs of the air conditioning process. When an AC drain pan leaking water comes into play though, your need for a fast response throws you right into AC student mode. Let’s explore what causes water in AC drain pan and why an air conditioner leaking water is a problem to be dealt with immediately. An AC system produces condensation, much like a glass of ice water in a warm room does. 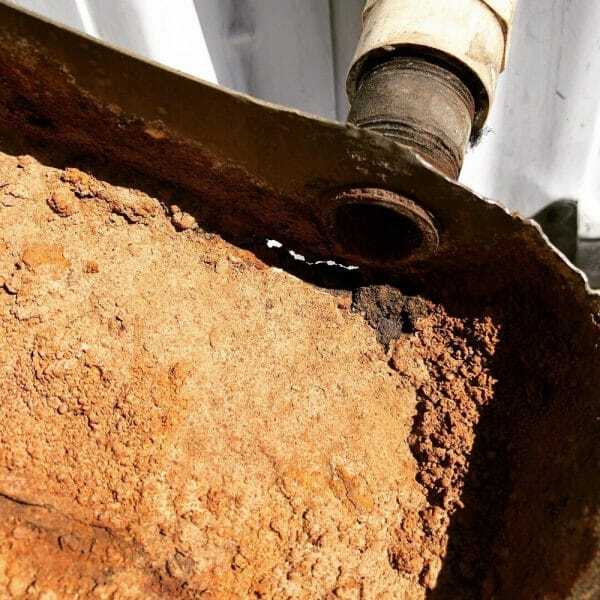 This moisture collects in the drain pan, which is connected to a drain line to remove the collected water. Without the drain pan, the condensation would drip directly onto the system causing serious damage. Cracks can occur in the drain pan over time. This is a normal part of wear and tear with all appliances and parts. However, a cracked drain pan leads to water leaking out onto the system parts, which creates further problems. How to Prevent: Contact a service technician to inspect and service your air conditioner and drain pan every year. Any wear and tear or potential cracks will be caught before they become an issue. It’s always safest to replace the drain pan if there is any question of its reliability. If the AC drain pan leaking water is an issue, you could have an AC drain pan clogged. More precisely, the condensate drain line may be clogged. The drain line removes the water from the drain pan. Pretty simple, unless it’s no longer draining. Drain lines can become clogged with dirt, algae, and other debris. 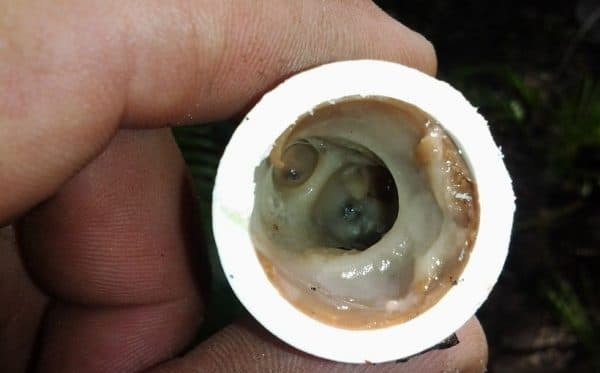 Just like any other plumbing line, if it’s clogged and water flow is restricted, the condensation will overflow into areas it is not supposed to go. Bad news. For this reason, how much water should be in AC drip pan is best monitored by a float. How to prevent: Install a drain pan overflow shutoff switch, equipped with a float. If the AC drain pan leaking isn’t the drain pan or drain line, it could be a defective pump. Although not all units come equipped with this part, a broken condensate pump can cause major water leakage and result in flooding your attic or basement, depending on the location of your unit. Since water is omnipresent in the unit, mold and mildew have a tendency to grow, which can clog the pump over time and cause pump failure. How to prevent: Add a safety pan under your AC unit to catch drain pan overflow. AC drain pan leaking is a symptom indicating a critical need to have your AC system serviced and repairs done quickly. Don’t wait until the peak of summer to call for a tune-up! Contact a reputable repairman before summer hits and be prepared. What is an AC Filter Drier & When Should it Be Replaced?